First up: Why are so many dealers bad about communicating via email? I’m located in Georgia and looking at a 2003 Chevrolet S10 with 65,000 miles in Tennessee. I’ve run an Autocheck on the vehicle’s VIN and see that it comes from Maryland. So I’m worried about rust. I’ve emailed the dealer and they replied from this email address. The first reply they told me they had it, I asked for pics of the undercarriage to be emailed to me. Then they gave me the runaround about one salesman being out of town and someone else would get the pictures. But I still don’t have a satisfactory response. Do you think I’ll be able to make any forward progress getting these pics emailed to me without picking up the phone? Or am I going to have to call to get things moving? I totally understand your frustration. 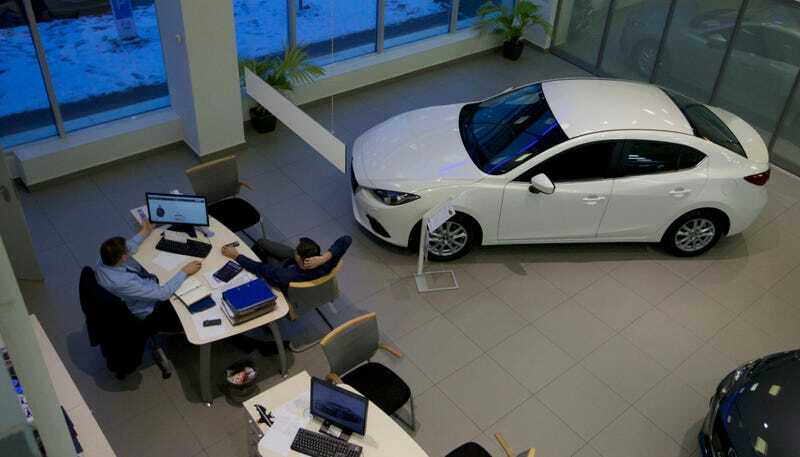 Despite almost every dealer having an “internet department,” many of them are terrible about actually using that medium to communicate with customers. I found this to be especially true for dealers in the South, but this problem is an issue everywhere. Some dealers don’t take internet leads seriously and think that a web inquiry or an email is the same as a tire kicker who isn’t really committed to buying something. Of course, this isn’t true, but there are still a number of “old school” salespeople who think you aren’t a legit buyer unless you are standing in the showroom. As much as I prefer to conduct my communication via email and I probably speak to several dozen dealers a week, what I have found is that the most effective way to get the information I want is a combination of phone calls (or text messages) and email. For some dealers, they just won’t move the ball forward until they hear an actual person’s voice. I’m sure there is some psychology behind this, but I’m afraid you are going to have to pick up the phone. If you aren’t happy with their response, move on to another car. Next up: Is a Mercedes-Benz E63 AMG for under $20,000 with over 100,000 miles a great opportunity, or so cheap it’s dangerous? I’ve been driving a 2017 Mazda3 for a while and it’s a great car, but it’s not a car I love. For the past couple of months, I have been looking at used BMWs and Mercedes yearning for something more! I have always had a love for the W211 E-Class, especially the AMG variants, and I realized they can now be had for less than $20k! I found this 1 owner example that looks great, it has over 100k mile but the dealer sent me the Carfax and Vehicle Master Inquiry (attached) that shows it was taken to a MB dealership every 10k miles for service. I can certainly afford to buy this car now, but my reservation is the maintenance cost for the E63. It has over 100k miles and my brief experience with the A4 is not reassuring. I can afford to spend $1000 every few months for service (would plan to budget about $2-3000 per year), but I am concerned that I would be hit with a $5k+ repair bill at some point, which would be really tough to stomach! What should I realistically expect the maintenance to cost? I live in the city and don’t have the tools or space to do any work myself, so everything would need to go through a shop. I am fighting between making the smart financial decision and keeping my Mazda, or risking it and buying one of my favorite cars I used to lust over when younger! So I turn to you always level headed experts! I am in solid financial standing with a pretty safe job, with no kids, so now would be the time to make bad decisions. What should I consider when making my decision? What should I ask the dealer when looking at the car? I asked about a third party PPI, but they won’t do that. They said I could have someone come and inspect the car there, however. This is the 3rd dealership that has told me they have never done a PPI, so I feel like they’re not necessarily hiding anything, it just doesn’t seem to be common practice around here. I plan on looking at it this weekend and am really leaning towards buying it! Should I pull the trigger? So on one hand, we have a saying around here: “The cheapest German car is often the most expensive.” But you seem determined to live the Jalop Life, and are fairly well prepared for the type of ownership experience a car like this may bring, so this idea may not be totally bad. The fact that this car was serviced regularly and they supposedly have documents to prove that is a good sign. However, service records aren’t everything and even a clean car with a good history can still be problematic—especially when it’s a modern, sophisticated and finicky machine like a used AMG Mercedes. This is why you need an independent pre-purchase inspection. The fact that this dealer is not willing to allow that is a red flag in my book. When you are dealing with this kind of hardware, especially with this many miles, you absolutely need to get it checked out. And finally, is there any way to buy a new car with “reasonably” sized wheels? All I do is replace the low profile tires on my car after damage from New York City potholes. Costing a $1,000 a pop. If I buy a new car like a Toyota Avalon, is it possible to get it with high quality but regular size tires right from the manufacturer? The downside to this “bigger wheels are cooler” trend is that every damn car has gigantic wheels. The Avalon comes standard with 17-inch wheels on the lower trims but go up the ladder to the more expensive versions and that car could be sitting on 19-inch wheels. You are correct that the more sidewall you have the less likely your rims are going to take a beating on trash New York streets. But what if you wanted a fully loaded Avalon with the smaller wheels? You could theoretically buy an Avalon Touring with the 19s and get it with the 17-inch wheels but the dealer isn’t going to do that swap for free. If a car comes standard with 19-inch wheels as indicated on the window sticker, the dealer just can’t replace them with something else. Basically, you would pay for an extra set of wheels and tires via the parts department, and this can get pricey. You are likely better off just downsizing your wheels via the aftermarket and getting a quality set for cheaper. Is It Possible to Buy a Good Car From a Bad Dealer?